Parents sometimes enjoy watching their children dancing, jumping, and imitating the characters they see on the television. Some parents feel release when they can put their children into ‘silent’ state whenever they turn on the television for them. Children like to watch cartoons. 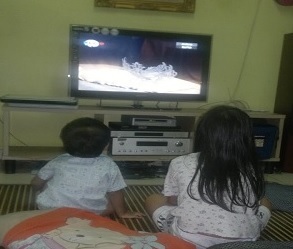 Cartoon can make the children sit silently in front of the television. This allows parents to do their activities such as cooking, cleaning the house and so on. However, letting the child to watch television alone for a long period of time is not a wise decision. 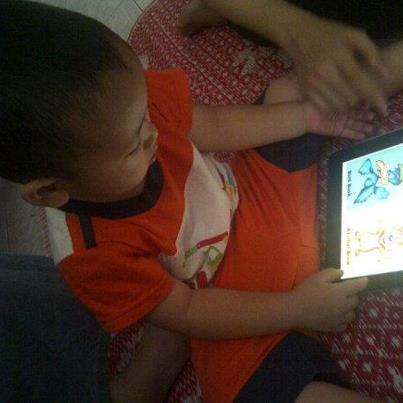 Parents sometimes do not aware that some TV programs or cartoons are not helping the children to learn. In fact, watching cartoons or TV programs is linked with negative impact to speech and language development. Watching TV is a passive act. Child only needs to look at the monitor and listen to the conversation, and does not need to verbalise. Communicating, on the other hand, allow child to use his eyes to look at the communication partner; ears to listen to the verbal input uttered by the communication partner; mouth to respond to the communication partner by verbalizing. Furthermore, during verbal interaction, child has the opportunity to ask the communication partner to repeat or to say the information that he missed again. This is because communicating with other people is a two-way interaction. Meanwhile, watching TV is a one-way interaction. Child needs to play and interact with other children to develop good social skills. Most of the children who preferred watching TV instead of playing with other children usually have problem to socialize with other people. One-way communication does not help the children to develop good language and communication skills. Child needs to interact with peers and other people around him to be a good communicator. TV limits children’s opportunity to explore the objects or situation using all their senses. Toys or objects exploration, physical activities (eg: jumping, running), imagination and interactions are important for young children to develop play skill. Watching TV alone will not help the child to develop good play skill. Researches have shown positive linked between prolong TV time and attention problem. Children pay less attention towards speech with increasing TV time. Children shows poor attention and interest towards speech and this might lead to poor speech, language and literacy development. TV can help children to develop certain skills with condition parents watch the TV with them. Here are some of the skill that parents can help their children to master by watching TV. Parents can encourage child to tell about TV programs or cartoons that he likes to watch. Parents play an important role to help the child to retell or tell the story in sequence using good language. Parents also can give comments and help adding information to the story. When watching TV together, parents can help increase their children’s vocabularies by telling the children about the objects, animals, characters or actions they see on the TV. There are a lot of activities that the child can do instead of watching TV. Here are some of the activities that parents can do with their children. Help parents to do house chores. How To Control TV Time? Avoid children below 2 years old from watching TV. 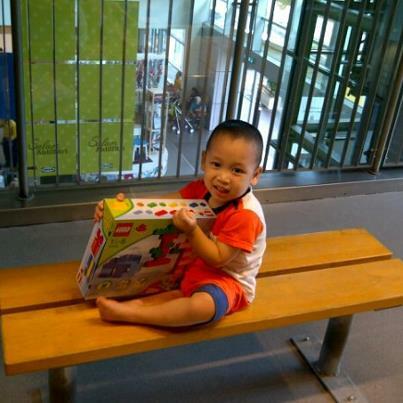 Encourage child below 2 years old to do activities that involve physical movements and exploration using all senses. Allow only appropriate TV programs or channels. Be firm in not letting the child to watch TV programs or channels that contains inappropriate or negative content for children. Set the limit. Always put limit on which TV programs child can watch and duration of TV time. Firm and consistent. Parents must be firm and always consistent with the rules that has been set. Education TV. Encourage child to watch TV programs or channel that encourage learning. Oh No! My Child Is Not Yet Talking!